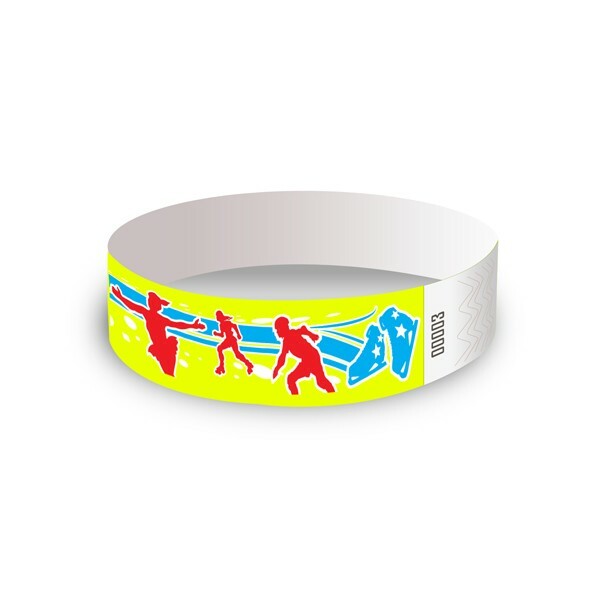 Most popular and cost effective patterned wristband available! Ideal for one time use for up to 2 days. 100% recyclable and water resistant.